Herbaline beauty spa products are specially formulated with natural plant extracts that allow skin to breathe easy at the cellular level. 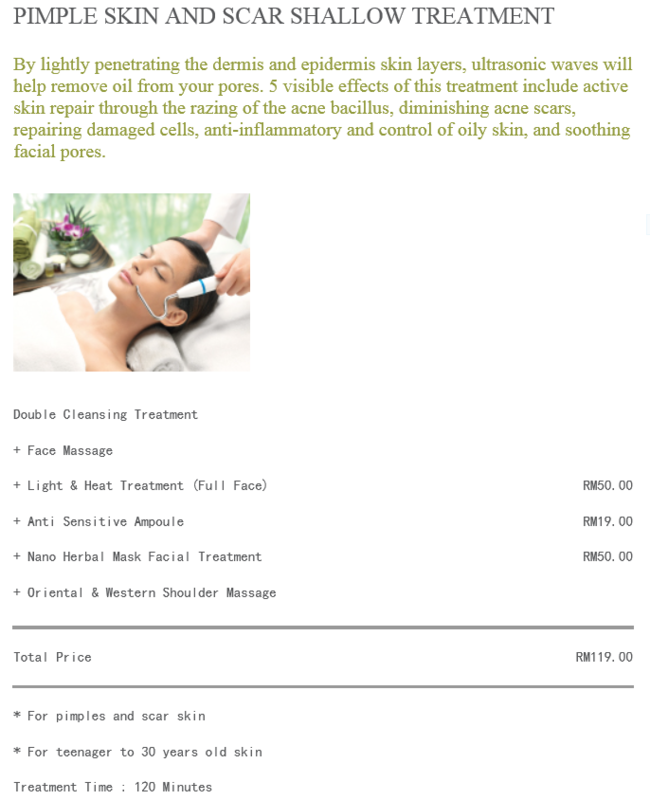 Herbaline only provides single treatments and does not tie customers down by committing them to treatment packages. 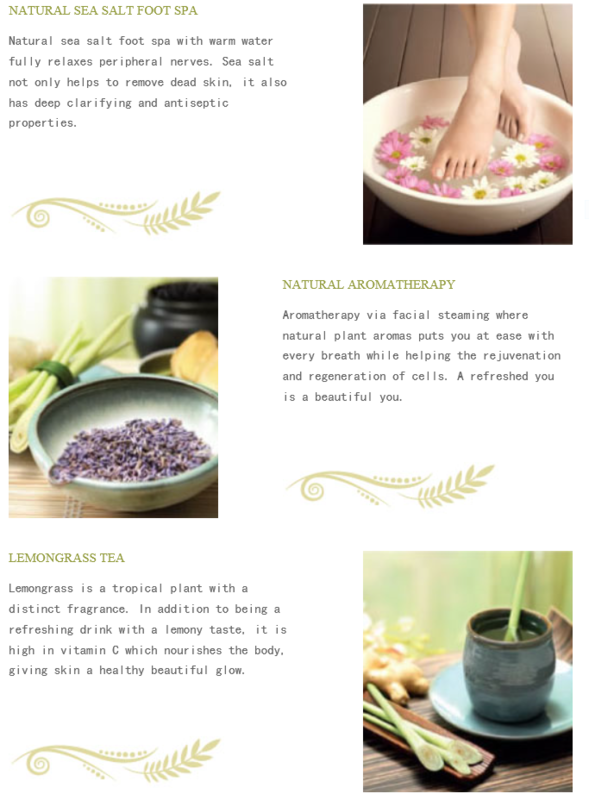 In addition to facial treatments, Herbaline beauty spa treatments come with a complimentary series of value-added services such as sea-salt foot spa, aromatherapy treatments, beauty drinks and fish foot spa. 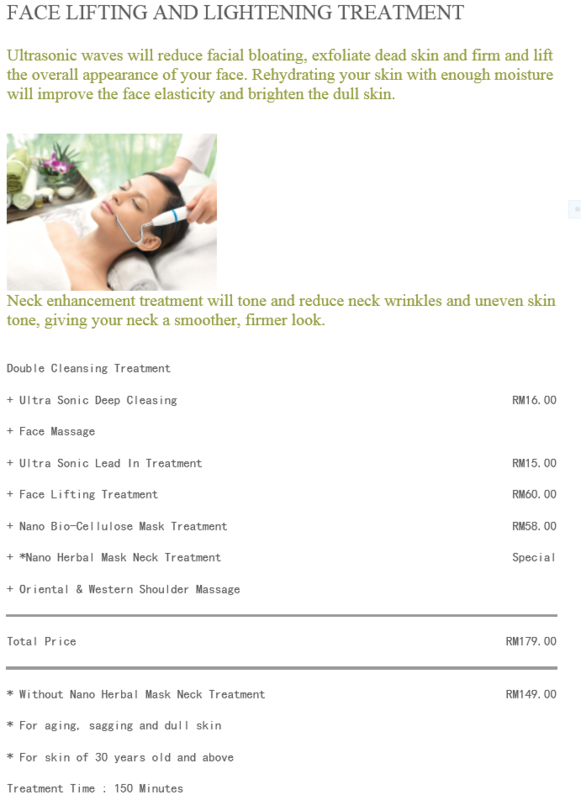 So come relax and enjoy while we set you on the road to being beautiful. 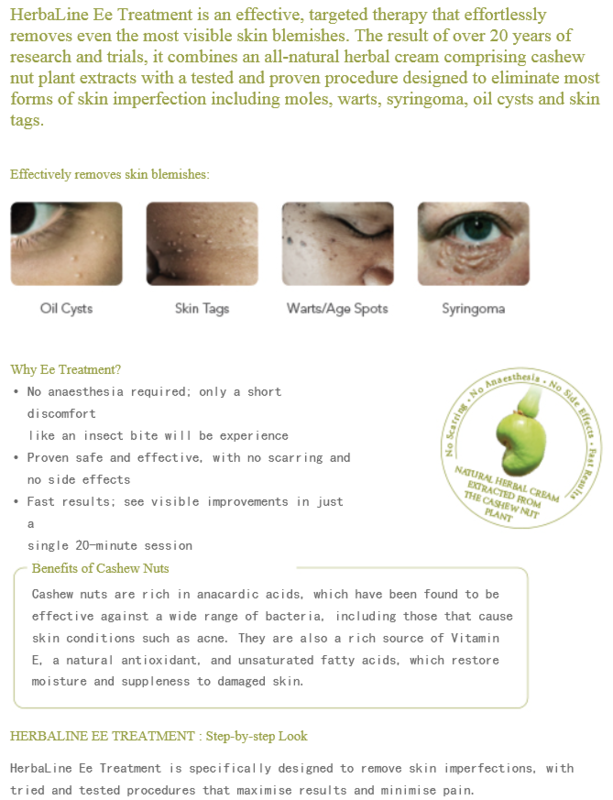 Herbaline's team of beauty consultants provide professional treatments, addressing Asian skin conditions by combining Eastern technique with Western technology. Herbaline provides transparency to customers via its services menu, outlining the processes and total cost of each treatment. We also pride ourselves in being the pioneer in offering single treatments that do not require customers to commit to treatment packages. 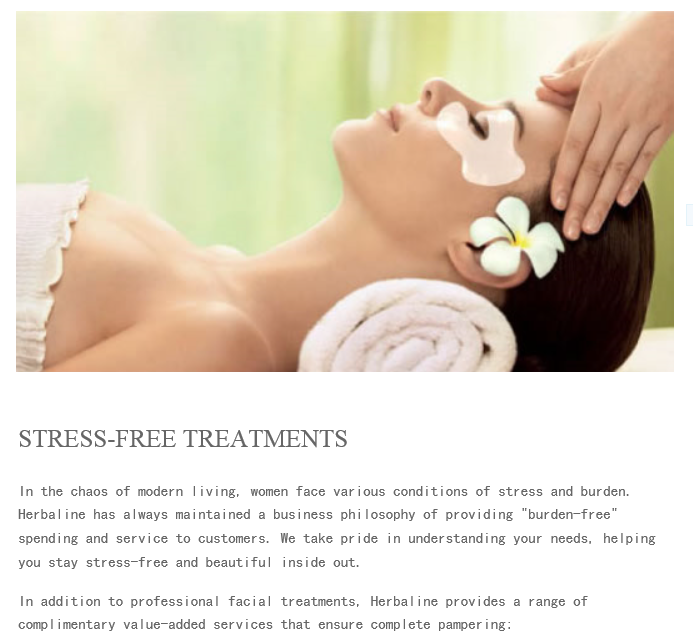 This underlines our business philosophy of "Stress-free beauty". Combining the power of nature and technology Herbaline's special formula of natural organic plant extracts uses Nanotechnology extraction. 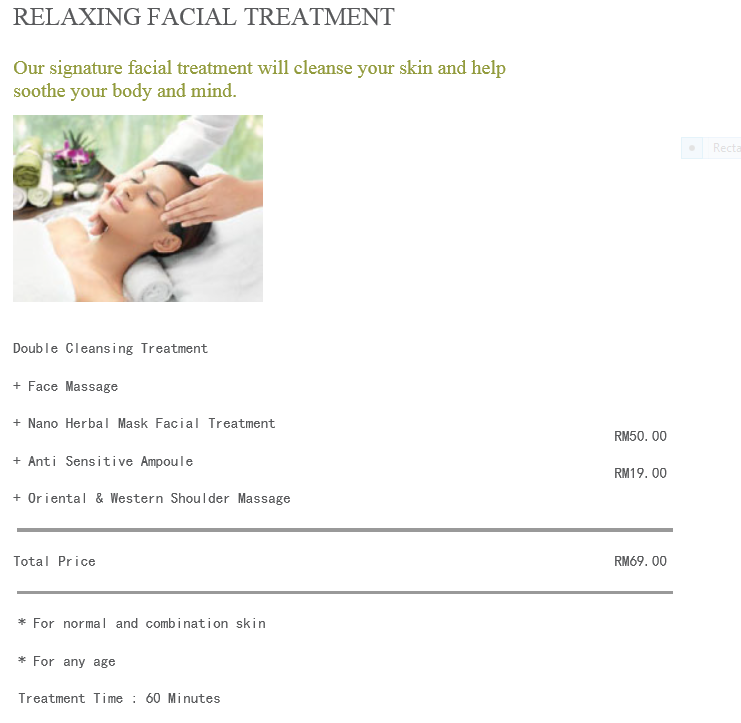 Herbaline's range of products are priced from RM33 to RM139, providing great value-for-money. Normal service with average high price. Staff keep selling their products and others brands products. The environment is relaxing. Been to two different outlets, every beauticians giving me different opinions regarding my skin type. One recommended me to use whitening cream and sunscreen lightening cream because my skin is too dry. One asked me to remove those oil cysts because I'm using unsuitable products and my skin is oily. I'm confuse and I feel I'm spending too much for unnecessary. Please educate your staffs to provide a professional recommendation instead of keep marketing your customers to purchase those products and services for the seek of marketing. Thanks.